This Way to the ? This is a series of posts about Italy, Malta, and Spain that starts here. I’ll be posting every other day for a while until the travel posts catch up with real time. After five hours in the Vatican Museum, St. Peter’s Square and Basilica were anticlimactic. The square was … well, a square, and it was filled with white plastic stacking chairs. There were also plastic ropes demarcating lines this way and that like you would see at Disneyland. I didn’t bother trying to photograph it because there was no way to capture how big it was without plastic paraphernalia in the way. St. Peter’s Basilica was … huge, of course. Maybe, after the glorious collections of the Vatican Museum, I was just beyond being wowed any further. I did make tremendous progress on a census of nuns and priests I had started upon my arrival. But it was the Vatican, after all, and I lost track when I reached 12 nuns and nine priests in less than an hour. This was more nuns and priests than I had seen in the previous 30 years of my life. Almost all of them appeared to be from the developing world. The hotel desk clerk had been right, there did seem to be a lot of Argentinians around, drawn by the Argentinian Pope. I could hear Spanish everywhere. Its cadence was like a relentless rat-a-tat-tat, whereas Italian was more circular. This may sound cliché and insensitive, but it’s true. I didn’t see one obese person aside from a few Americans, who were clearly distinguishable by their sloppy sweats and athletic shoes. Why are we such slobs? You can’t even go to an orchestra performance anymore without half the people wearing jeans and sweatshirts with sports logos. By contrast, the Spaniards and Italians were impeccably dressed—the men with flawlessly-shined dress shoes, women in heels and skirts, everyone in black finely-tailored overcoats. The women had clearly made an effort to style their hair and accessorize. Many of the men wore hats. Not baseball caps—real dress hats like real men should wear. Boy do I sound old. What did I wear? I compromised comfort and style by alternating between two black and grey outfits topped by a silver puffer vest with zip-able pockets, one of which was inside; a secure stash for cash and cards. I switched my Dr. Scholl’s gel inserts between black boots and a pair of black Coach shoes that were really trainers but looked dressier. 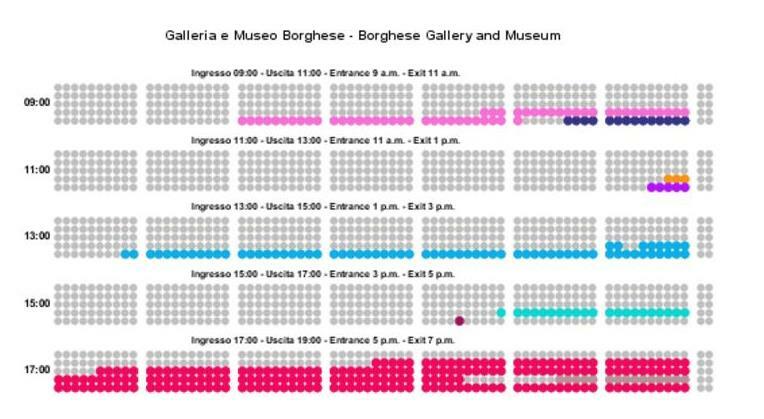 I had a ticket for the next day for the Borghese Gallery, which I’d never heard of until I started reading “Top 10 Rome” lists. The ticket purchase required me to choose a seat, as if I were going to a concert. Sometimes just buying a ticket is an adventure in itself. My emailed ticket listed three different entry times and an exit time, so I wasn’t sure if I had booked a tour, a concert, a museum, or what. I never saw this passageway. I got into another line to check my coat and bag, which was mandatory. Then, being sensible, I waited in line for the bathroom, then got into line for the tour. All of this took place in a cramped underground room with a hundred other people trying to figure out what they were supposed to be doing. Finally it became clear to me that the tour was mandatory—you couldn’t wander through on your own and you were required to leave at the time indicated on the back of your ticket. We all got radio receivers with headphones so the guide could talk at a normal volume. At precisely 11:10 am, my group—Group 11—followed our guide to a fifth and final line where a guard scanned our tickets and then on into the gallery. 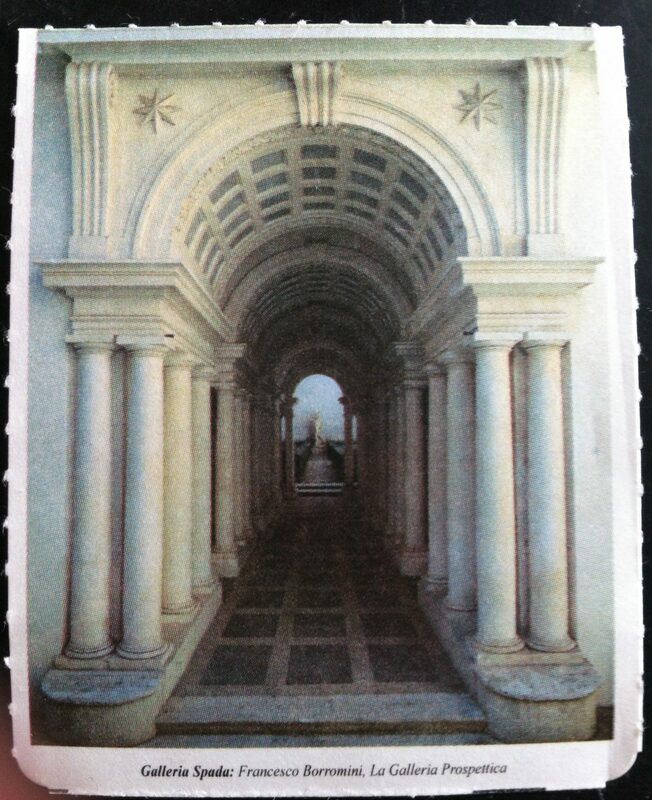 This entry was posted in Adventure, Budget travel, Culture shock, Travel and tagged Borghese Gallery, Italy, Rome, travel on December 19, 2016 by Breaking Free.